The classic roller blind remains a firm favourite with our customers due to its clean, crisp good looks and versatility. Fabulous in any room of the house, roller blinds blend well with most décor and can be waterproofed for kitchens and bathrooms. They can also be created either to allow the sunshine to filter gently through or to provide full blackout from the light. All our roller blinds are manufactured here in the UK from reputable manufacturers hand-picked by ourselves, to ensure that you receive great quality roller blinds and the quickest, most reliable service possible. Browse our variety of fabrics and design options, below, or pop in to our showroom to view our range and chat over your plans and ideas with one of our experienced team. Our roller blind fabrics come in all the colours of the rainbow, and more, and in a vast range of designs to suit any personality or style. Including vintage style, contemporary, floral, check, plain, stripes, spots and children’s prints. 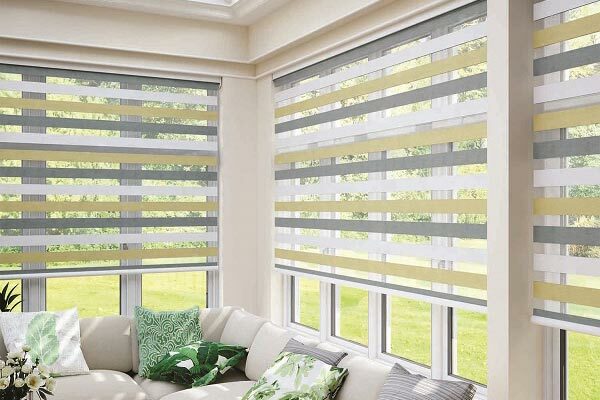 Simply put, a duo blind is a double roller blind. Two pieces of fabric are positioned one behind the other, each comprising solid and transparent horizontal fabric strips. Each moves independently from the other, when the solid strips line up in a block the light is blocked. 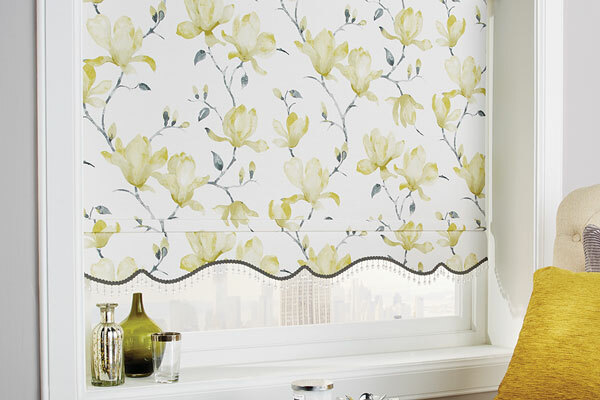 The beauty of a made-to-measure roller blind is that you get to choose how it’s operated. 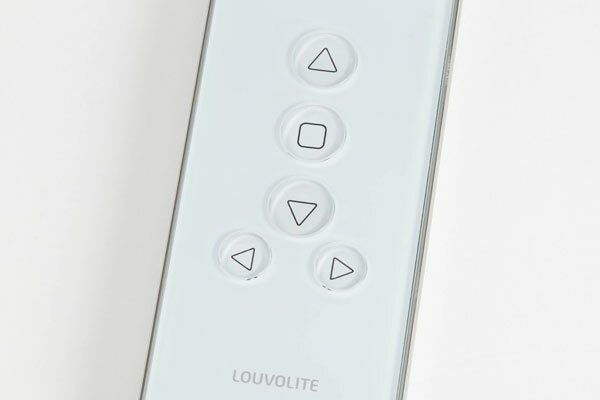 For the ultimate in ease of use, your roller blind can be motorised so that it can be raised or lowered at the touch of a button. Of course, we also offer manual options, such as a cord operation, both of these can be matched or co-ordinated with your blind. Just let us know what best suits you and your budget. 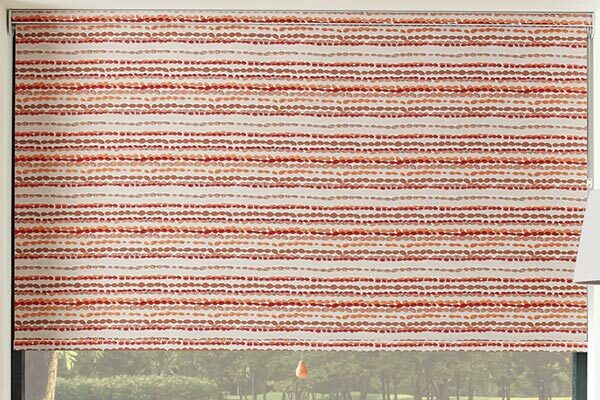 Roller blinds can be made from almost any fabric through a procedure known as laminating, so if you’re looking for a roller blind made in the same fabric as your soft furnishings, for example, this is completely possible. The procedure involves bonding the fabric to a special lining to create structure and can even be used with delicate fabrics such as silk, or with sheer fabrics such as voile, where the voile, is fixed to a thin, sheer fabric to help retain its appearance. Highly modern, the Intu or Perfect Fit systems allow roller blinds (as well as Venetian and pleated blinds) to fit neatly within the window recess. 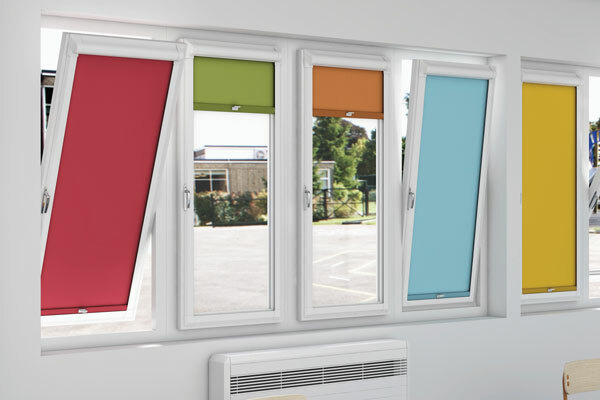 With the Intu system the blind slots neatly into the window bead, while with Perfect Fit the blind fits within the Perfect Fit frame, which in turn clips into the window bead. Neither option requires any drilling or screwing into frames, therefore maintaining your window or conservatory warranty. 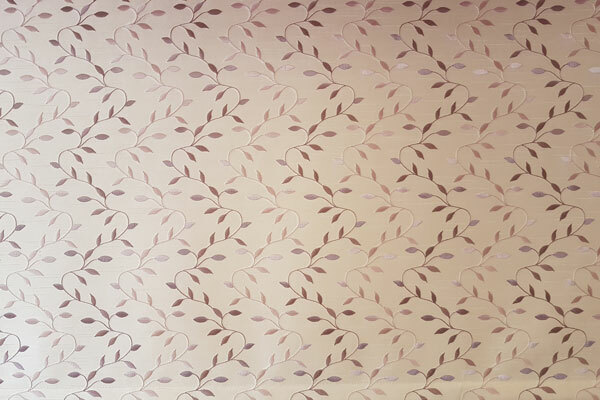 The beauty of our roller blinds is that they can be customised with a choice of finishes to suit the style of your room. Scallop edging? Valence to hide the roller? Braiding, tassels… or perhaps something else? Talk to us about your ideas and we’ll do everything we can to make it happen.